Ronald Reed, Partner; is a past president of the Wire Association, a recipient of its Donellan Memorial Award and was honored with the wire industry's Charles Scott Lifetime Achievement Award. He brings over 30 years of wire & cable experience in financial, plant and technical management. Peter Kuipers, Partner & Engineering Manager; brings over 20 years of experience in machining and equipment design. He has an extensive background in controls technology..
Brian Bouvier, co-founder, is a past president of the Wire Association, recipient of its Donellan Memorial Award and was honored with the wire industry's Charles Scott Lifetime Achievement Award. He brings over 40 years of wire & cable experience. Carter Lloyd, Co-Founder; holds patents for his work with wire braiding technology. 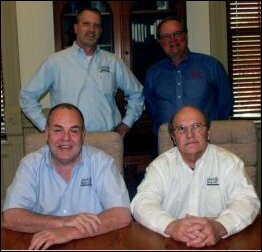 With over 45 years of experience in wire and cable manufacturing and equipment design, he is recognized as an innovator in the wire and cable industry. 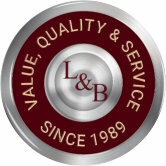 Building on relationships and maintaining that quality, well-trained people are the keys to customer satisfaction and company growth, Lloyd & Bouvier continues their commitment to excellence in the wire and cable industry.